Are you looking to inspire your girl students to continue Maths? Do you think they would benefit from a day hearing about and engaging in all things Maths, alongside other girls? The Mathematical Institute and Department of Statistics host three day-conferences in Mathematics for girls in January each year. Typically we will only be able to accommodate state schools but independent schools may register their interest and will be accepted if we have space. The next event will take place in January 2020. Girls! The day is to inspire young women to continue with Maths education. We can only accept bookings from UK schools. Girls in Years 12-13 should be studying Maths at A-level or equivalent. Each day involves a mix of plenaries, workshops and hands-on problem sessions. The timetable for the day is below, but the order of sessions may vary. Participants should bring a packed lunch. Squash and light snacks will be available on arrival. We reserve the right to amend the contents of the event without notice. 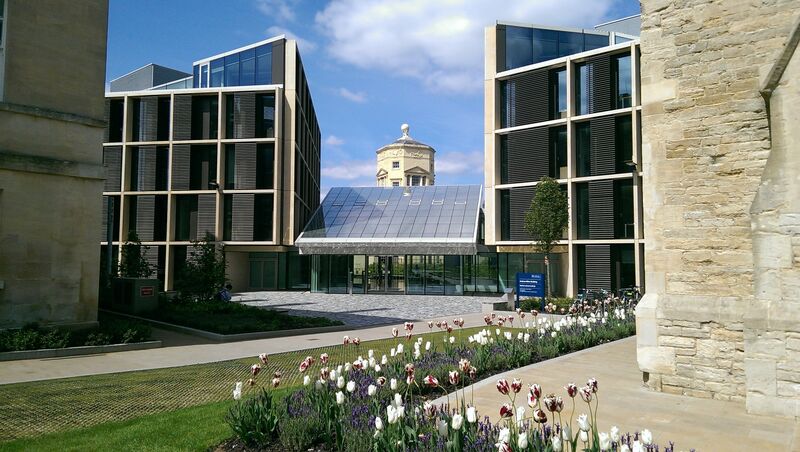 The events will take place at the Mathematical Institute in Oxford. Please note that there is no parking available on site, but minibuses can drop off students (accompanied by a teacher) before going to park in one of the Park and Rides. For more information on parking in Oxford, please see the council's website. Year 12 students (aged over 16) may attend unaccompanied. The day is free to attend. Unfortunately we cannot provide assistance with travel or provide lunch. If you are travelling from very far away and need to stay overnight, please consider contacting your link college. Please note that some of the activities will be repeated from previous It All Adds Up conferences, so you may wish not to attend again with the same students. Schools may apply to bring up to 12 Year 9 or 10-11 students and up to 5 Year 12-13 students. Extra students may be placed on a waiting list (please submit additional forms). State schools will get preference, but we will accommodate everyone if at all possible. We are reviewing the process for 2020. If you have any questions, please email schools.liaison@stats.ox.ac.uk. You can also sign up to our mailing list to be kept informed of when registratrations open.